I'm not gonna lie. Television is a major part of our household. An even bigger part of our household? THE DVR. I am so glad that I live in an era where the DVR exists. It is an extremely important tool in our lives. 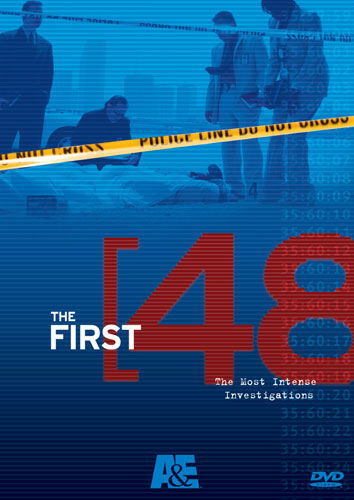 There are several series that record every episode of. What shows do Grant & Jen record, you wonder? 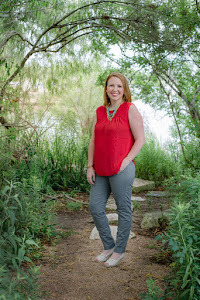 WELL LET ME BREAK IT DOWN FOR YOU HERE ON THE BLOG! This is Jim and Pam. They met at work in The Office and they just got married. They have a baby girl named Cecilia Marie. 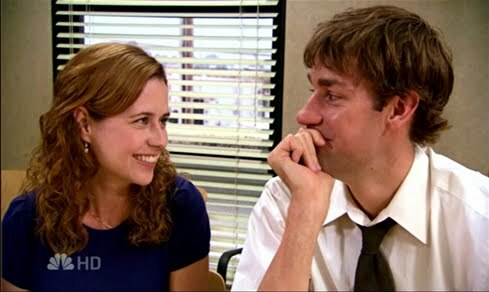 I am a little bit in love with Jim Halpert, but that's okay. I have not missed a single episode of The Office. Ever. Thanks to DVR. And this is Derek and Meredith. They had a one night stand and then they started dating and then they broke up a few dozen times cause he had a cheating wife back in New York. And then she almost drowned and then something happened with a veterinarian and then they got married on a post-it note. Sounds like a quality show, doesn't it? DO NOT JUDGE ME. And this is Bob & Jillian! They are not a romantic couple, they are more of a "I'm gonna yell at you until you lose 150 pounds" couple. I do love me some Biggest Loser. I am not as big of a fan of the contestants this year but I am making it work. CHUCK!!! We LOVE Chuck! It is such a fun show. It is funny, entertaining, it has heart, not to mention that Zachary Levi who plays Chuck is seven kinds of adorable. (Did you know he is a Christian? True story!) We love the show and everyone in it. Okay, this one is a bit more gritty. 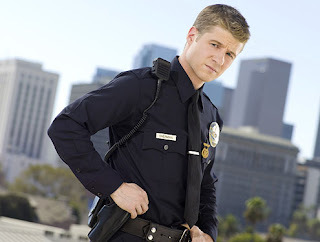 Southland started on NBC awhile ago and then it got cancelled and we were bummed. But then TNT picked it up and it started back up last month. We really like this show. It is compelling, but a bit gory. Viewer discretion is advised. So, I know that technically this show hasn't even started yet, but we will be watching it. Here is why: Ali is cute. Ali is a little melodramatic which keeps it fun. She will collapse onto the floor in hotel hallways if she is especially upset. Also, her crying noises are really annoying. Holla, American Idol! Last night we narrowed it down to the top 10. Last season, I wrote a post about How to pick an American Idol that you should read. It's important stuff. I still haven't picked my favorite for this season yet, but I will let you know. Community is a sarcastic, smart, silly, sweet little show that comes on before The Office. I like the way it highlights the wide array of people that go to community college. Senor Chang is a great character and we LOVE Abed who has Asperger's Syndrome. Cracks us up. I also am a fan of the weekly little jab at Ryan Seacrest. Hey! It's Stacy and Clinton from What Not to Wear! I love them both so much and sometimes I think that maybe I'll dress horribly for 6 months or so and then maybe they will come give me all new clothes. The only thing that bugs me is that 98% of the time they cut the person's hair waaaaay too short. No thank you. I love me some Joel McHale. I love me some Soup. His sarcasm just pushes my funny button. Plus, I don't watch nearly enough television (clearly) and he gives me all the highlights. 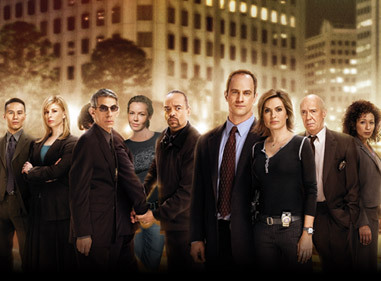 I used to be much more obsessed with Law & Order: SVU then I am now. I can miss episodes here and there but I still try to catch them when I can. I love Benson & Stabler and I love the opening song. In college, my roommate and I used to get up and do the "SVU Dance" everytime the show came on. We're special like that. This is another show I watch occasionally. Honestly, I am really into crime shows. What I love about this show is it is all real. 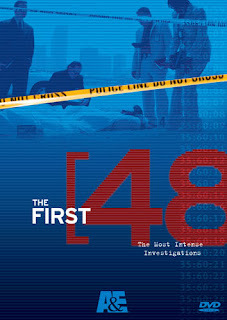 You follow real detectives around as they are in the process of solving a murder. Plus, the interrogations of suspects is quite amusing sometime. The suspect's street names are also entertaining. I do not watch Oprah everyday. Most of the time, her show annoys me and gets me all irritated. However, there are some shows that I just looooove to see. The celebrity interviews. The room makeover shows. The surprises. Oprah's favorite things. The intense human interest stories that I remember forever. You know...the way her show used to be. Okay, I'm just gonna come right out and say it. I love the Ellen show. SHE. IS. HILARIOUS. And the stuff they come up with... when they had Dennis Quaid walk into a Starbucks with an earpiece and made him repeat anything Ellen said in his ear ("DENNIS QUAID IS HERE!! DENNIS QUAID WANTS COFFEE!!") I could not stop laughing. She does funny things and I just love it. This one is kinda hard to explain. We have never watched How I Met Your Mother on television. But we love this show. Let me explain... awhile ago we started renting all the seasons on DVD. We have watched them all now... up until this current season. But when we finished the last DVD, the current season had already started airing episodes. So now, we have to wait till this season ends, buy that DVD, watch them as fast as we can, and then start watching in real time at the beginning of next season. I have strong opinions about watching episodes out of order. It doesn't work for me. But we do love love love this show and Marshall is my favorite. Please do not start telling me all the shows I am missing out on. I know, I know. I know I need to watch 30 Rock and the Amazing Race and Parenthood and Dancing With the Stars. I know all of this. But I JUST DON'T HAVE ENOUGH TIME, PEOPLE!!! So what about you? What shows are on your DVR? What!?! I had no idea Zachary Levi is a Christian! How did you find that out???? 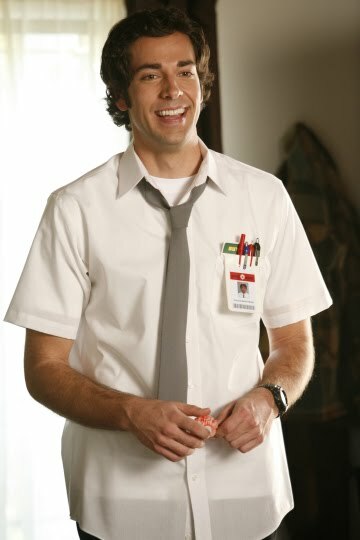 We are also big fans of Chuck, The Office, and Community (Chase's favorite!). I am also a new fan of the Biggest Loser. We would also add Dancing with the Stars to that list. Love the breakdown, Jen, and yes, I'm so glad that we live in the age of the DVR. 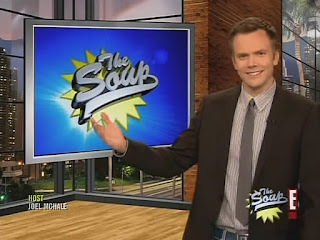 Did you know that the host from the Soup is a Christian, too? I can't remember where I heard that, but he and his wife are somehow really involved with Young Life and stuff. Pretty cool. 1) We love MANY of the same shows. 2) It probably makes us cooler. 3) I do also love my DVR. Recently, it died and took all my shows with it. I almost died too. 4) That Dennis Quaid episode on Ellen was best ever. Tears were streaming down my face. 5) Ok, I think that's all I wanted to say. 6) One more thing...love you! I know it's no shock to you that we have lots of the same shows. We can't keep up with the ones we have though. I'd be so stressed if I followed as many as you! 3. LOST (technically this is just for Rusty. I was too "lost" 2 seasons ago to keep following. 7. Community is so funny. I don't think it's on our list anymore though. LOVE Ellen and cracked up at the Dennis Quaid episode! Real Housewives, 16 and pregnant, Dateline, Cake Boss, and Intervention. I have a problem. Thankfully my husband is in charge of the DVD schedule.